The allure of winning a big slot machine jackpot is every slot players dream. Watching the wheels line up and change your destiny in the blink of an eye is a real possibility, even if a slim one at that. This section of GoodCasinos.org will focus on the short list of good slots casinos and show you where and how to play slots on the internet safely and securely. One of our hopes is that we provide information to you to become a better slot machine player. 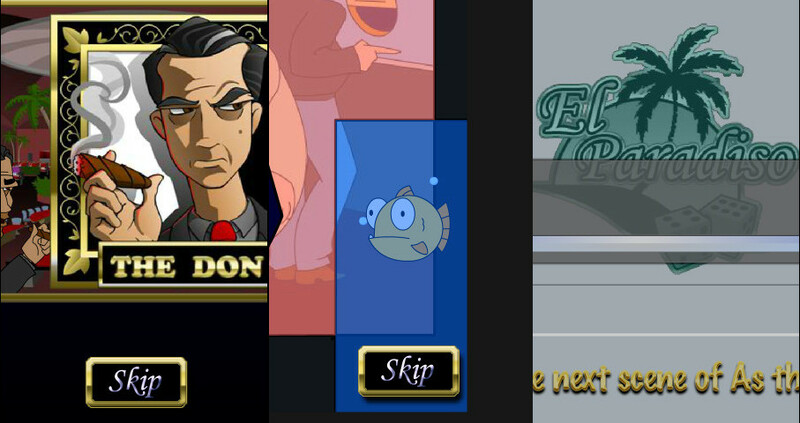 We review slot machine games that offer jackpots when playing them. If you are looking for a slot machine game that has a progressive slot machine jackpot, then take a moment and read a slot game title that interests you from the ones listed below. We show you screen shots of the slots, best casinos to play each slot game and the details on what triggers the jackpot, the scatter symbol and the bonus round details. You can play all of the slots listed here for free or for real money. This is just a little taste of the slots we have reviewed. For the full list, click here. 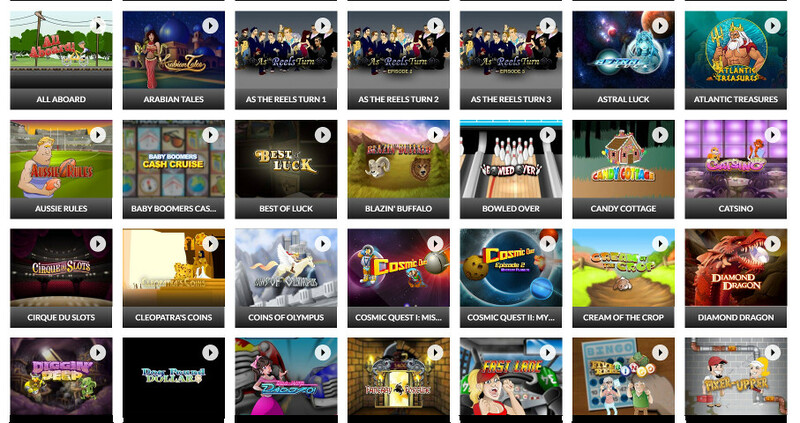 We will add more slot games as we complete their reviews. Different slot enthusiasts gravitate towards slots based upon a number of factors. Some enjoy certain thematic elements (i.e. Egyptians, sports, etc.). Others look specifically at each game’s pay tables. Still others only play progressives. When slot machines first debuted, they relied upon an assortment of mechanical gears and other moving parts. A lever (or “arm”) was positioned on the right side which players would pull in order to spin the reels. Most slots during that early developmental stage had only 3 reels and each reel was decorated with a number of symbols. Online slots are pretty much exactly the same slots you play at a brick and mortar casino. They both are driven by computers and are entirely dependent upon mathematical probabilities. They use a random number generator (RNG) in order to ensure a reliable level of randomness in the spinning reels. When you hear slots players say that a particular machine is about to pay out, they’re referring to the number of plays that have already occurred without a payout. That is, they’re saying the machine is “due” to hit. As long as an RNG is dictating outcomes, a slot machine jackpot game cannot be “due” to hit. To explain, think about a series of coin tosses. Just because heads comes up 5 times in a row doesn’t increase the chances of tails coming up. It is a completely random event. The key to maximizing your winnings on slot jackpot games is to first determine how many credits you’ll bet on each spin. Some jackpots require that you bet the maximum number of credits. Then, consider how much risk you’re willing to absorb in order for a chance to win the progressive jackpots (when they’re available). Let’s assume the RNG-generates the following numbers. One of those numbers is selected for each reel and is already plotted with the algorithm to each reel’s stop position. A clip from the popular “progressive jackpot” game, Megasaur, available at Slotocash among others. Online progressive slots work in the same manner as those in land-based casinos. There’s no physical bank or network of machines, obviously; everything occurs online. In some cases, an online casino will have a perpetually-growing progressive jackpot that is only available to those who play a specific slot. Other times, the jackpot may be available to players across a dozen or more slot games at that particular casino. Sometimes, a gambling site may use software that is used by several other online casinos to pool the progressive slots together to have some really huge jackpots. Just look at the chart above for some of the million dollar plus jackpots available online. Slots continue to rule the roost in the gambling world. More than ever, online and land-based casinos have come to rely upon different types of slots games to deliver the majority of their revenue. The old-fashioned, simplistic 3-reel straight slots (those that pay solely based upon a pay table) have largely been replaced by more complex games. In fact, slot machines have enjoyed an explosion of creativity and innovation over the past few years. Below, we’ll take you on a brief tour of the main types of slots games that you can enjoy playing online. – The payouts offered by multiplier slots are based upon the number of coins bet on a spin. For example, suppose a slot machine pays 10 coins if you bet 1 coin and 3 cherries appear on a payline. This type of slot would pay out 20 coins for the same symbol combination (in this case, 3 cherries) if you were to bet 2 coins. And it would pay out 30 coins if you were to bet 3 coins. If effect, your payout is multiplied by the number of coins you bet. – These slots work in the same manner as basic multiplier slots. The only difference is a bonus that boosts your payout for a winning combination if you bet the maximum number of coins. Let’s return to our previous example. Betting 1 coin would pay out 10 coins for 3 cherries on a single payline. Betting 2 coins would pay out 20 coins. However, betting 3 coins (or, the maximum bet) might pay out 50 coins due to the bonus multiplier. – When slot machines first became popular, most of them offered only one payline. Today, many straight slot games offer multiple paylines. Each coin that you bet activates one payline. If a winning combination appears on an activated payline, you win the payout listed on the pay table. However, if a winning combination appears on a payline that is not activated, the slot machine will not pay out. – Multiplier slots award the player for betting more credits on each play. For example, the pay table on a traditional multiplier might pay out 10 credits for a given combination if you bet one credit. However, if you bet 2 credits and hit the same combo, the machine might pay 20 credits. If you bet 3 credits, you’ll earn 30 credits. 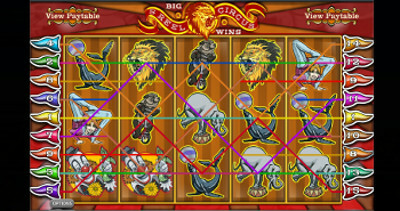 The “5 Reel Circus” slot machine showing 15 lines in play. In the past, most types of slots games offered only one payline. Today’s slots can have dozens. In most cases, you’re not forced to play all of the paylines, you can bet additional credits in order to activate them. If any combination that is listed on the pay table hits one of the paylines, the machine pays out. Keep in mind that a payline that you haven’t activated will not pay out, no matter how big the bonus item. Progressive slots pay according to their individual pay tables. However, they also pay out a jackpot that continues to grow each time a player places a bet on a contributing machine. These types of slot games allocate a small portion of each player’s bet to a pooled jackpot. The slots can operate individually (where only bets placed on a particular machine contributes to the jackpot pool) or within a linked network. It’s not uncommon for progressive slot jackpots to reach in the hundreds of thousands of dollars. Progressive slots offer a potentially life-changing jackpot that can climb into the millions of dollars. These types of slot machines are linked with other slots. These types of slots are the latest innovation for online casinos. Each game comes with a unique storyline that unfolds as you play. If you successfully reach certain levels, you’re rewarded with special video clips that continue to flesh out a storyline and its characters. Rival Software developed i-Slots in order to integrate slot games with entertaining film, providing a new and exciting experience for slots aficionados. As you can see from these 3 scenes from “As The Reels Turn”, we get introduced to characters before loading up the next part of the story. As already noted, you’ll first need to buy into the slots tournament. The amount of the entry fee may be zero and potentially climb past $100 (though that’s rare). The entry fees for all of the participants are normally placed into a collective prize pool. Each player is provided with the same number of credits with which to play and assigned a slot machine. Then, the playing session begins. All of the participants will have the same amount of time during which to spend their credits. In most cases, hitting the “Spin” button automatically places the maximum bet. Once the playing session is over, the player who has won the highest credit value is declared the winner and given a portion of the prize pool. Land-based casinos will occasionally organize an ‘invitation only’ slots tournament. They’re usually reserved for a casino’s best customers. On the other hand, in order to interest casual gamblers and passersby, casinos will often hold free slots tourneys that are open to anyone. Even though they don’t require a buy-in, cash prizes are awarded to the winners. Other types of slots tournaments include those which return all of the buy-in fees to the participants and those which provide a profit for the casino. A casino will often organize a tournament in order to attract customers to other services. They’re not interested in making money from the entry fees. Instead, they hope players and spectators will spend money on food, rooms, or at the table games. First, it’s worth noting again that winning at slots tournaments does not require skill. The only items to worry about are luck and your ability to focus. The tourneys are usually timed with playing sessions as short as 15 minutes. As mentioned above, you must bet all of your original credits during the session. That requires focus, kind of. Within minutes, slots players will often become distracted and start looking around, which slows their playing pattern. Before you participate in any slots tournaments, avoid drinking alcohol, it will only slow you down, but honestly if you can’t handle pushing a button non stop then I don’t know what to tell you. Yes, but please be careful and only play them at a good casino. Remember it is entertainment and treat it as such. Good luck spinning the wheels!